Design is not just about the way things look, it is also about the way they work. India is poised for growth in almost all the fields and it is increasingly expected to compete globally in delivery of goods and services as per international standards. Design is being recognized as the strategic ingredient in making India competitive. Design Education is therefore an imperative feature for the country. Responding to this need through education, training and research is World University of Design (WUD) – The Universe of Creative Education located at Rajiv Gandhi Education City - a hub of educational institutions of eminence in India. As India’s first university dedicated to education in the creative domain, WUD underlines the movement of design from being purely vocation-oriented to becoming academic-oriented; and from certificate & diploma stage to degree, postgraduate degrees, research and doctoral programmes. World University of Design (WUD), offers design education through a unique teaching pedagogy, advanced interdisciplinary research and international collaborations in the areas of Architecture, Design, Interior, Communication, Fashion, Fine Arts, Management and many others design related courses. Academic leadership at WUD is provided by Dr. Sanjay Gupta, a well known personality in the field with over 20 years experience in design education and formerly the Dean of NIFT i.e. the National Institute of Fashion Technology. The faculty comprise of highly experienced professionals from premier art and design colleges of India. For 2018 admissions WUD is offering 22 specialized programmes from its campus. Admission to Design, Fashion & Communication programmes will be through a Design Aptitude Test (DAT); to Art programmes through an Art Aptitude Test (AAT); and to Management programmes through a General Aptitude Test (GAT), all followed by a personal interview. DAT, AAT and GAT will be conducted by the World University of Design. Valid scores of NIFT, NEED and UCEED exams can be considered in lieu of DAT and those of CET, CAT, MAT and XAT in lieu of GAT. Admission to the Architecture programme will be on the basis of marks obtained in the qualifying examination and the National Tests NATA/ JEE. WUD considers international exposure as a quintessential part of design education and intends to provide abundant opportunities to its students to explore and experience the various nuances of this facet of education. Such exposure enhances a students' personality and broadens the vision. WUD is signing MoUs with leading educational institutions across the globe to facilitate this. The MOUs already signed are with – IAAD the Italian University of Design, UWS University of West Scotland, and VFS the Vancouver Film School. WUD organised the prestigious Global Goals Jam Delhi 2017 in association with UNDP and MediaLab Amsterdam at its campus. WUD is organising an International Conference on ‘Functional Textiles & Clothing’ in February 2018 in association with IIT Delhi. WUD maintains a library amply equipped with books, journals, subscribed magazine from all disciplines. It's the Workhshops however where ideas take a tangible form. With one of its prime focus being “learning by doing”, WUD maintains high-tech labs & workshops like the model making workshop, Apple iMAC based CAD rooms, fully functional Machine shop, Patternmaking, Garment construction & Sewing workshop etc. WUD also has a art gallery on campus for displaying not only the work of its own students but also holding curated art shows. WUD assures 100% placement assistance. Its faculty maintains powerful alliances with employers and industry partners that enable students to leverage opportunities to showcase their acquired skills. Our associations help explore the possibilities for placements, industry projects, and internships for better career growth. 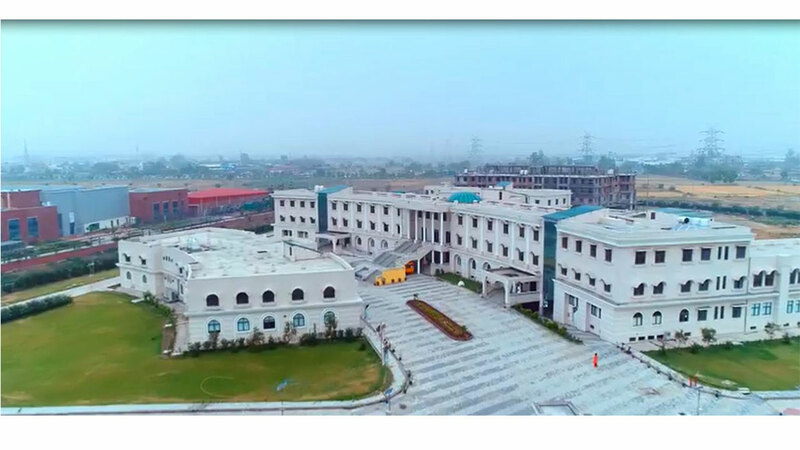 The modern, air-conditioned, wi-fi WUD campus is located in the fast developing Rajiv Gandhi Education City on NH1 in Delhi NCR along with colleges like IIT Delhi, NLU, Ashoka University, NIFTEM among other eminent institutions as its neighbor. It is spread over an area of 13 acres. WUD provides pick-up and drop facility from the nearest metro station. WUD also offers spacious, air conditioned, wi-fi semi-furnished hostel rooms with attached baths for girl students on-campus and to boys off-campus. There is a warden and visiting parents’ rooms and excellent mess facilities. A wide range of indoor and outdoor sporting opportunities is available to students at WUD. A Gymnasium equipped with free weights, cardio, stretching and resistance training equipment is also available. WUD has a 1000 capacity open-air theatre and several smaller venues to host and hold cultural performances. WUD acknowledges the importance of cultural & social activities in improving the personality, enhancing communication skills and building a positive, progressive global outlook. It strongly encourages its students to participate actively in various activity clubs like Film Club, Reading Club, Sports Club, Performing Arts Club, etc. and organize literary, cultural and social events such as sports meet, annual fest, etc. to forge stronger bonds and to bring out their latent talent in these activities. WUD annual fest, named CULT, attracted participation from over 26 colleges from in 15 events. Fashion students of WUD won the Taurus Design Competition. National Artists Camp on ‘Unexplored Spaces’ in Campus followed by exhibition at Arpana Art Gallery. WUD invites renowned personalities from various walks of life to share their knowledge and expertise with students. Eminent scholars visiting the campus includes Prof. AG Krishna Menon, INTACH; Prof. Osmud Rehman, Ryerson University; Prof. Elizabeth Rose, University of Otago; Prof. Paul Inman, Pro VC, Oxford Brookes University; etc.